Have you ever been scared of something? Really scared? Sure you have, and there doesn’t even have to be a reason. You might be scared of the dark because it’s… dark. Maybe you’re scared of dogs because they make a ferocious noise, or you’re scared of clowns because they look funny. You might not be able to put your finger on why you’re scared but it doesn’t matter. You just are. Fergus the pig doesn’t like water because of what’s in it. 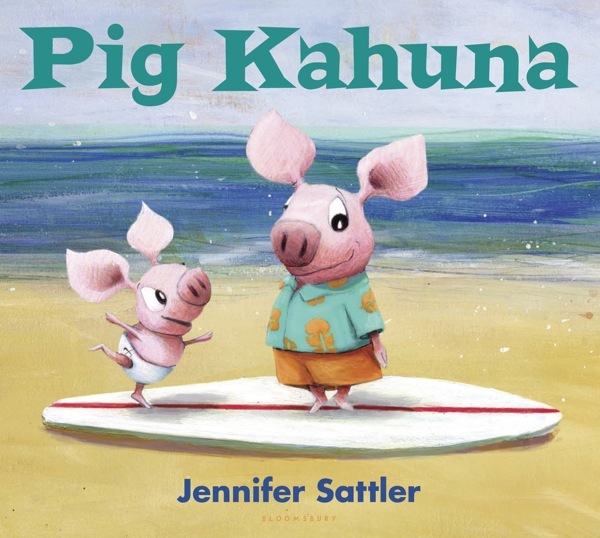 But as you’ll see in the new book “Pig Kahuna” by Jennifer Sattler, when a friend is in trouble, even his worst fears can be overcome. It was a warm day at the beach and Fergus and his baby brother, Dink, were busy collecting treasures. The ocean was behaving very well. Its waves rolled out – splash – then rolled right back again and each time, it brought more cool stuff for Fergus and Dink’s collection. It laid treasures right on the beach, which was a very good thing. That meant that Fergus didn’t have to go into the water. Fergus hated the water. It scared him because he knew there was more than just treasure out there. He didn’t even like to think about it. Still, the ocean was good to Fergus and Dink. It gave them lots of awesome treasures. They found seaweed and shells, something that just might have been a real shark tooth, and a big white surfboard that washed up on shore. Since surfing was out of the question, Fergus and Dink dragged the surfboard out of the water. It was a good board, perfect for all kinds of pretending. They named it Dave and played with it all afternoon. But when Fergus left to get ice cream (chocolate, to be exact, and Dink’s favorite), Dink thought Dave looked kind of sad. He let Dave go wild and free, back to the ocean, but just seeing good old Dave floating away into the sea, well, that scared Fergus even more than water did. 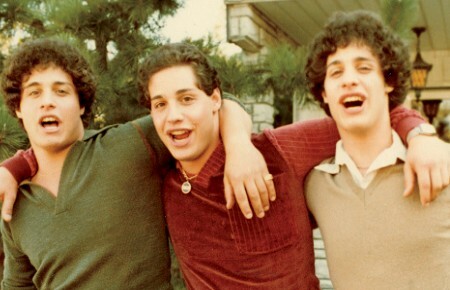 What if Dave was afraid of water, too? If you’re near a beach, pool, water trough, garden hose, or fire hydrant, there’s a good chance your child is going to get wet this summer. But before he does, you’ll want to read “Pig Kahuna” first. With a really cute story and two adorable characters, author Jennifer Sattler shows kids that they can jump in, the water’s just fine. I loved how Fergus was whistle-in-the-dark, positively certain of the nasties that lurked in the drink, and I loved the subtle, soft humor in Sattler’s illustrations. Whether your 3-to-7-year-old is a tadpole at swimming lessons, or can hang ten with the best of ‘em and has just recently learned the meaning of “Cowabunga!”, this is a great book to read aloud. Grab “Pig Kahuna” and dive right in.